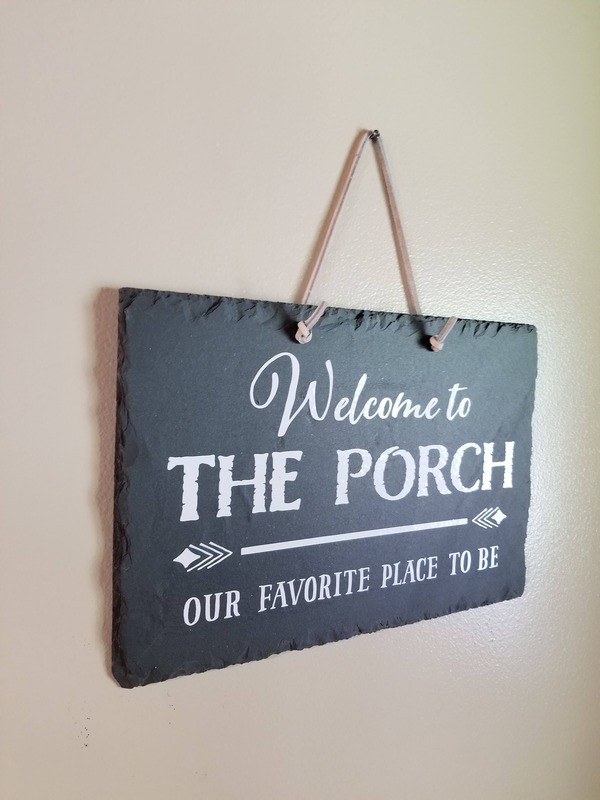 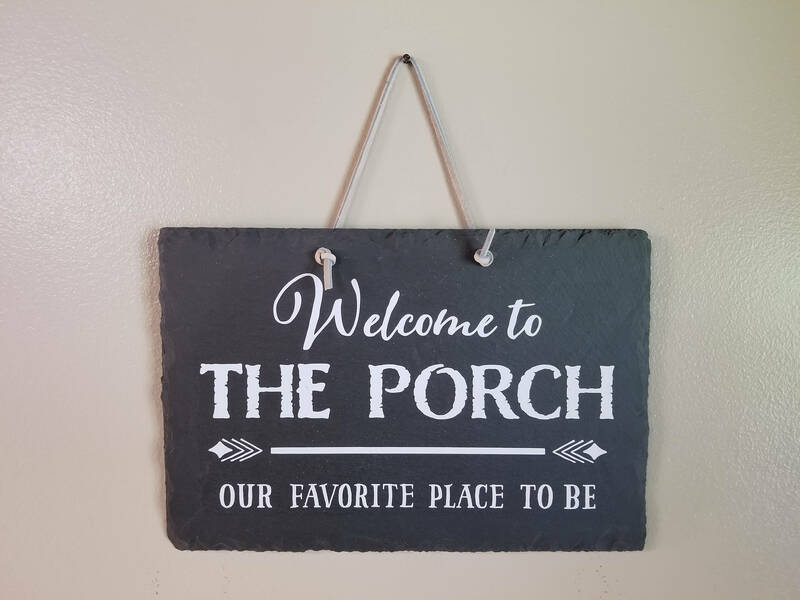 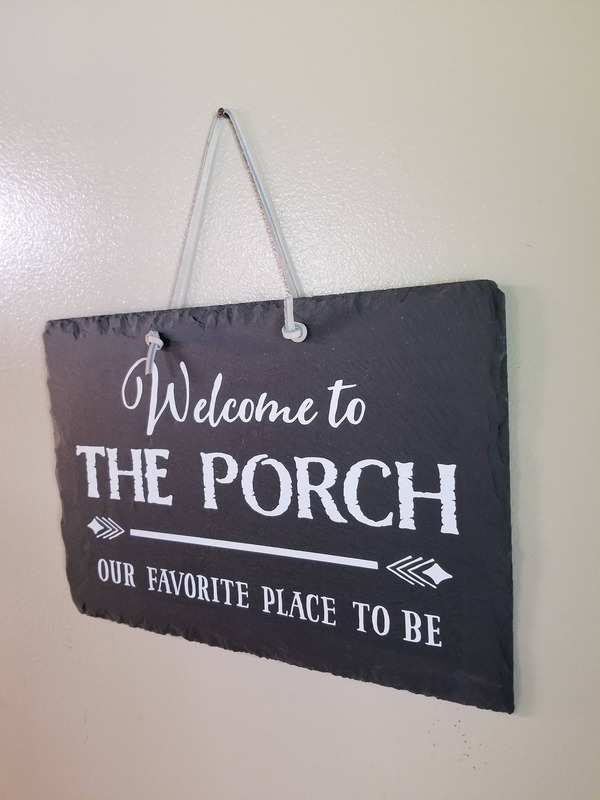 This Welcome To the Porch sign measures 12" x 8" and was created using a piece of cut slate. 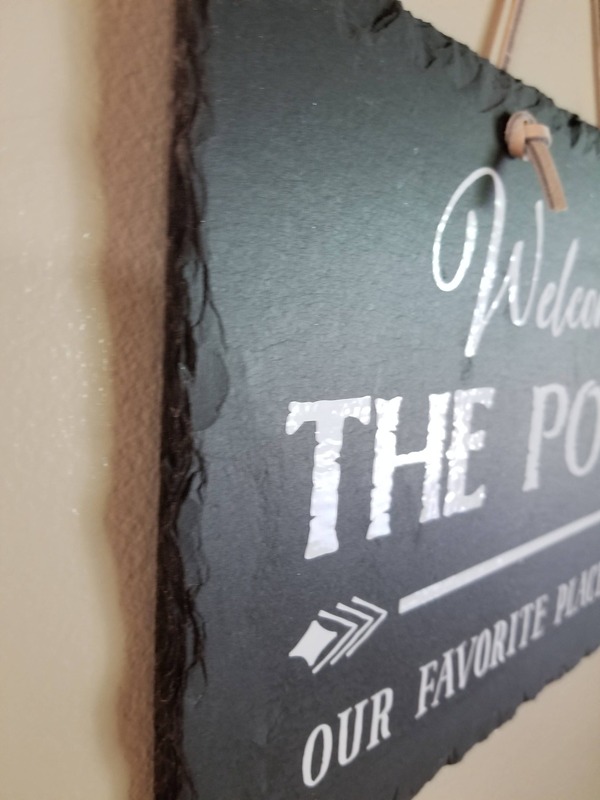 It has 4 small pads on the back corners to protect your wall. 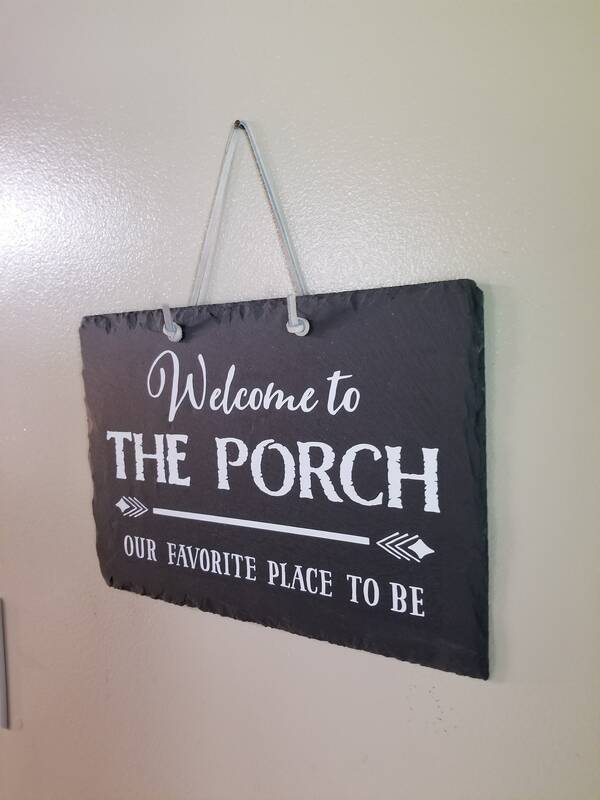 If you love your porch, like we do, you will love this sign. 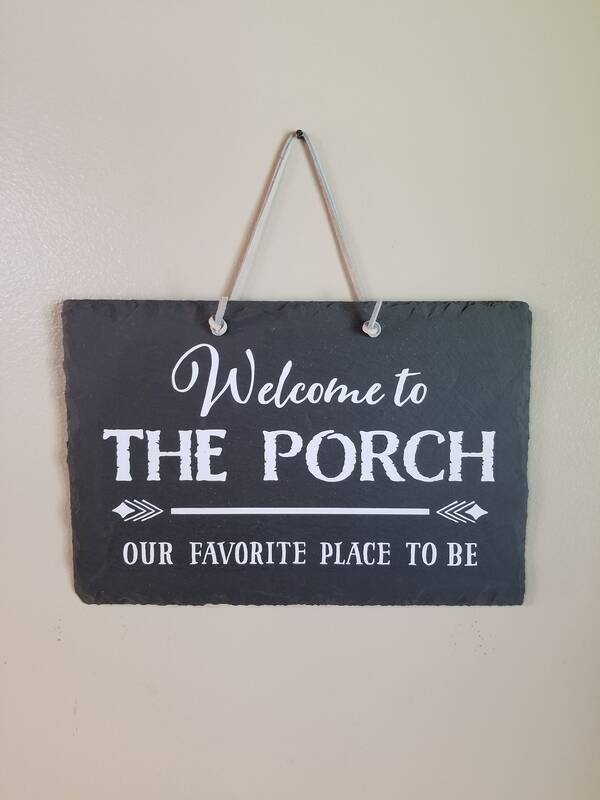 This is a perfect size to display on the porch, next to the door to welcome guests. 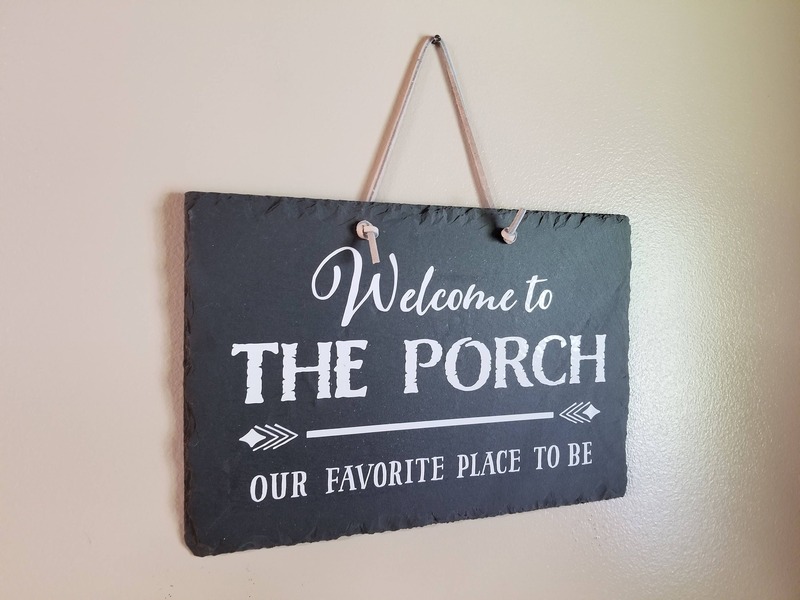 It is a perfect housewarming gift, or gift for a new retiree who will be spending time on their porch enjoying life.